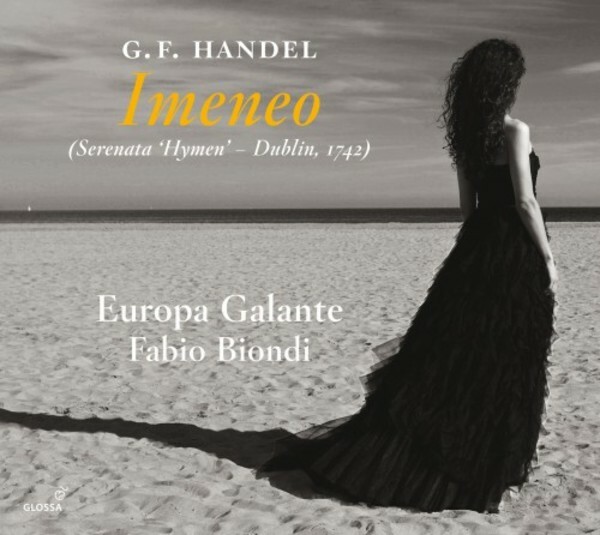 Fabio Biondi signs his fifth release for Glossa with a vital interpretation of Handel’s late opera Imeneo, given in its 1742 Dublin version. If, by this date, the London public was tiring of the Italian opera in which Handel had been excelling for decades, he was still able to call upon divos and divas of the quality of La Francesina and Giovanni Battista Andreoni to perform his music. Though not a success in its Lincoln’s Inn Fields staging in London, Imeneo was directed by Handel as his only Italian work during his season in Dublin (which also saw the first performance of Messiah), complete with additional arias to add to those praised in 1740 and a pruning of the libretto (which hadn’t received approval). was known in Dublin – was the god of marriage, and so, will love overcome duty and reason or not? Fabio Biondi, directing from the violin, brings all his experience in both Italian music and music from the 18th century in delivering a stunning vindication of an unfairly neglected Handel opera.